The Duquesne University Maymester Nursing: Rome gives nursing students the opportunity to have a rich study abroad experience and stay on track with their studies. Designed specifically for Nursing majors, this four-week program will guide students as they explore the Italian health system and come to understand how intercultural interactions will affect them in their future career. May is also a wonderful time to explore the Eternal City as piazzas and cafes come to life under the warm mediterranean sun and locals head to the beach. History and beauty surround you at every turn in Rome- a city rich in the layers of time. 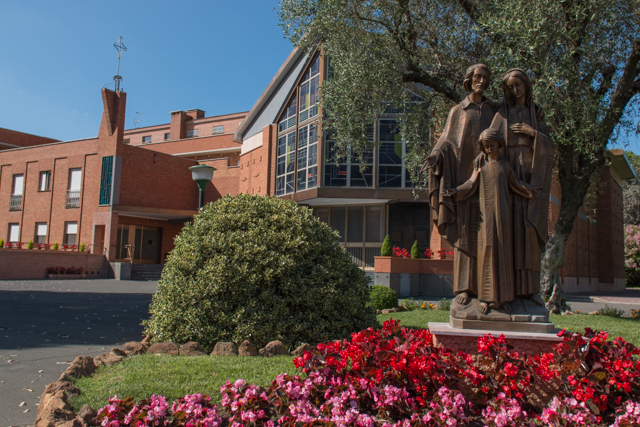 The Duquesne campus is housed with the Sisters of the Holy Family of Nazareth on a beautiful property west of downtown Rome and just beyond Vatican City and St. Peter's Basilica. The University is housed within a private walled property enclosing beautiful gardens and walkways. The University has classrooms, computer labs (wireless Internet), a small library, dining room, recreational areas and modern living quarters complete with private bathrooms in each double room. The Duquesne University Italian Campus provides a comfortable and safe environment for a month of living and studying in one of the great cities of the world. All deposits can be made through your student account. You can access your student account through DORI at www.duq.edu/dori. In order for your spot to be held, you MUST provide your electronic receipt via email to Mary Beth Morris (morrism4@duq.edu) or bring a paper copy to 601 Duquesne Union. Study 17th century art in Rome: Bernini, Borromini, Caravaggio and others. Class on-site at St. Peter's, the Borghese Gallery and in the many beautiful piazzas and churches of Rome. Healthcare professionals must deliver culturally competent and sensitive healthcare, and our presence in Rome will facilitate our exploration of cultural issues.